The bidomain and monodomain equations are well established as the standard set of equations for the simulation of cardiac electrophysiological behaviour. However, the computational cost of detailed bidomain/monodomain simulations limits their applicability to scenarios in which results are needed in real time (e.g. clinical scenarios). 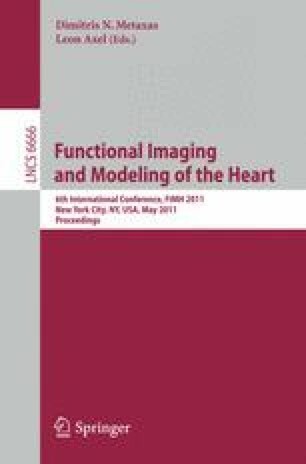 In this study, we present a graph based method which relies on point to point path finding to estimate activation times in cardiac tissue with minimal computational costs. Activation times are compared to bidomain simulation results for heterogeneous tissue slabs and an anatomically-based rabbit ventricular model. Differences in activation times between our proposed graph based method and bidomain results are less than 10% of the total activation time and computational performance is orders of magnitude faster with the graph based method. These results suggest that the graph based method could provide a viable alternative to the bidomain formalism for the fast estimation of activation times when the need for fast performance justifies limited loss of accuracy.